**** CREW CAB 4X4 DIESEL *** UTILITY BED ****** ON SALE THIS WEEK! NOW ONLY $29,995 Here is a hard to find truck. 2012 Ford F350 Crew Cab 4x4 XLT with a 9' Thermoking Utility bed. This is the perfect work truck for you and your whole crew. The F350 is optioned well with full power package, Alloy wheels, Tow package, Running boards, Trailer brake controller, Sync Bluetooth, Tow mirrors, and more. The F350 also comes with a transfer fuel tank built into the bed. No mater your trade this truck has plenty of storage for all your tools and materials. Power comes from the big 6.7L Powerstroke diesel engine providing all the power you will need to pull your trailers. 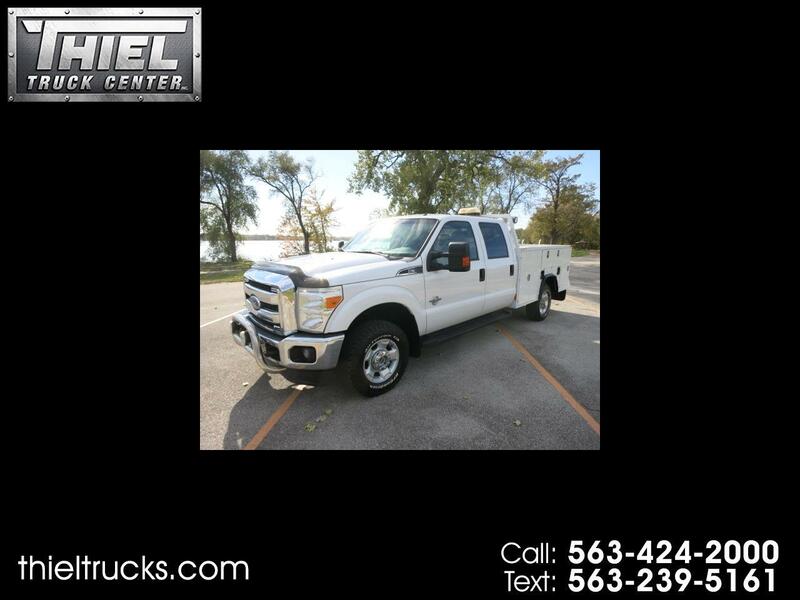 This F350 is a Carfax Certified accident free truck with only 1 previous owner. It also comes with all service records and near new BF Goodrich tires. You will not find a better truck or a better deal for your business. Call or Text us now before this one is gone.